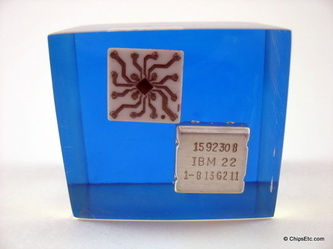 Solid Logic Technology (SLT) was IBM's preferred method for packaging electronic circuitry from 1964 to 1968. 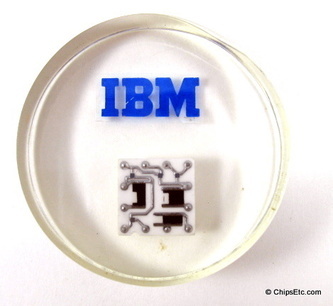 IBM SLT technology was the computer industry's first high-volume, automatic, micro-miniature production of semiconductor circuits. 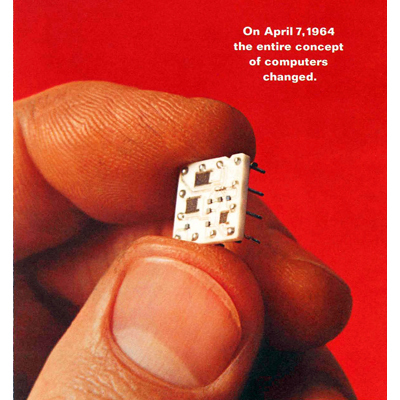 IBM developed SLT technology for the System/360 computer family in 1964 prior to the ability of monolithic Integrated Circuits to meet the cost and speed demands of large computers. 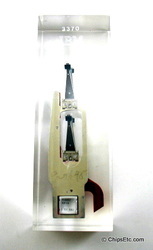 The SLT circuits were denser, faster and required less power than the previous generation of transistor technology. 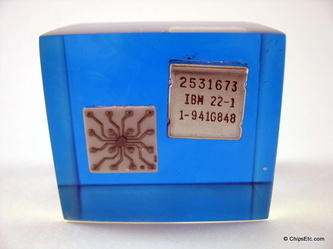 In 1968, IBM's widely used SLT modules achieved a reliability rate one thousand times greater than its vacuum tube predecessors. The SLT reflected IBM's uncertainty about the new technology known as Integrated circuits but it was also determined to move away from the previous discrete transistor technology. SLT modules consumed less power and space while offering faster speed and superior reliability compared to printed-circuit boards with discrete transistors. 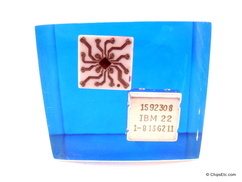 SLT was a revolutionary technology for 1964 with the reliability improvements over other assembly techniques helping propel the IBM System/360 mainframe computer family to overwhelming success during the 1960s. 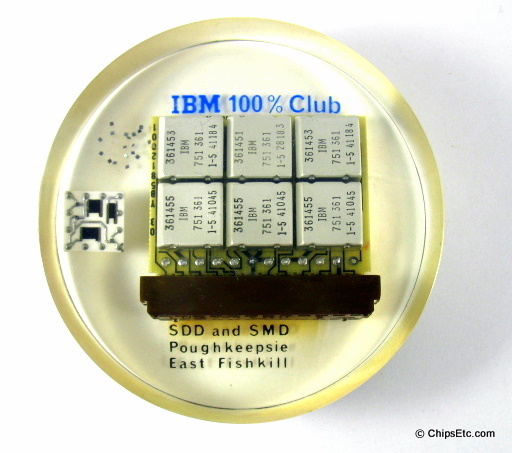 IBM produced millions of SLT modules in a highly-automated, specially-built plant in East Fishkill, NY. SLT research produced ball chip assembly, wafer bumping, trimmed thick film resistors, printed discrete functions, chip capacitors and one of the first volume uses of hybrid thick film technology. 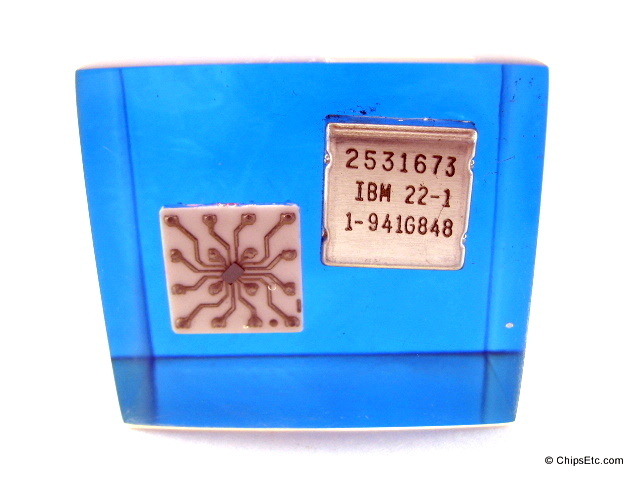 IBM produced 600,000 of these modules during 1962 and 1963, 6 million in 1964, and about 60 million in 1965. 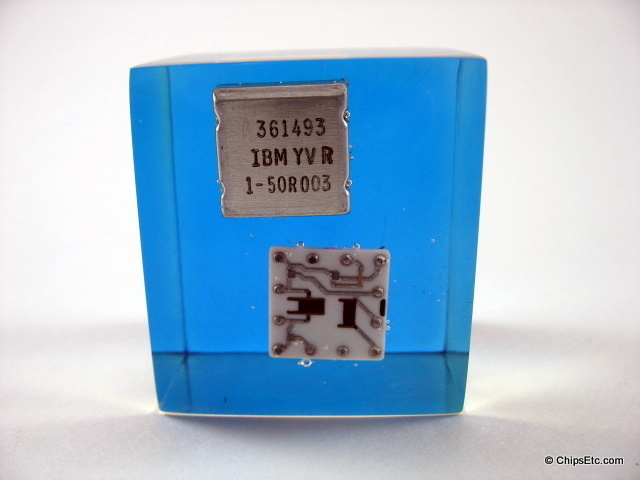 In the end, the Integrated Circuit would eventually win out over IBM's SLT technology and become the technology of choice for all future computers. 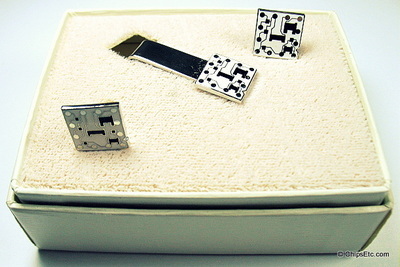 Each SLT module was composed of custom hybrid integrated circuits that were made up of four or five glass-passivated Transistor chips and several silk-screened resistors mounted on half-inch square ceramic substrates with vertical pins on the underside. The circuits were either encapsulated in plastic or covered with a metal lid. Several of these were then mounted on a small multi-layer printed circuit board to make an SLT module. 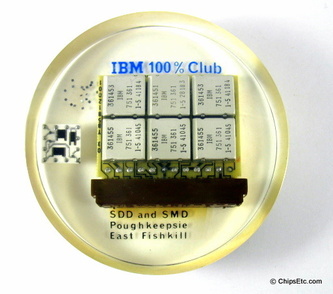 Each SLT module had a socket on one edge that plugged into pins on the computer's backplane (the exact reverse of how most other company's modules were mounted). 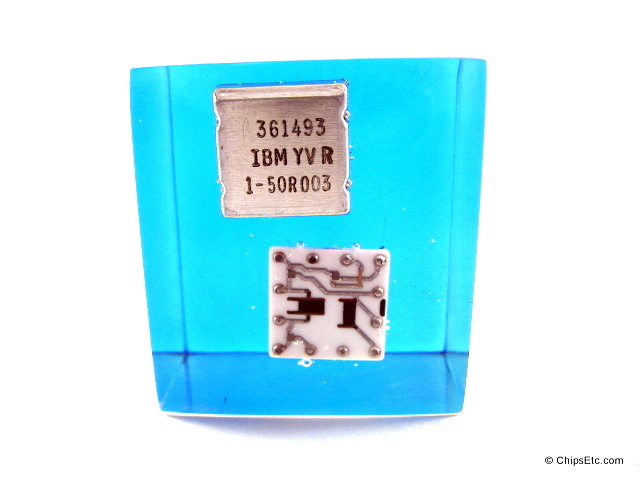 IBM's first generation of Solid Logic Technology (SLT) devices used only one logic circuit per module and was configured in a 12 pin package. 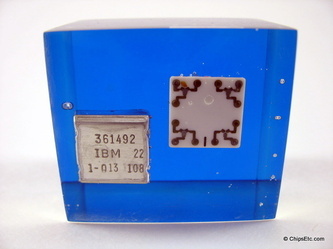 IBM's Solid Logic Dense (SLD) increased packaging density and circuit performance by mounting the discrete transistors and diodes on top of the substrate and the resistors on the bottom. 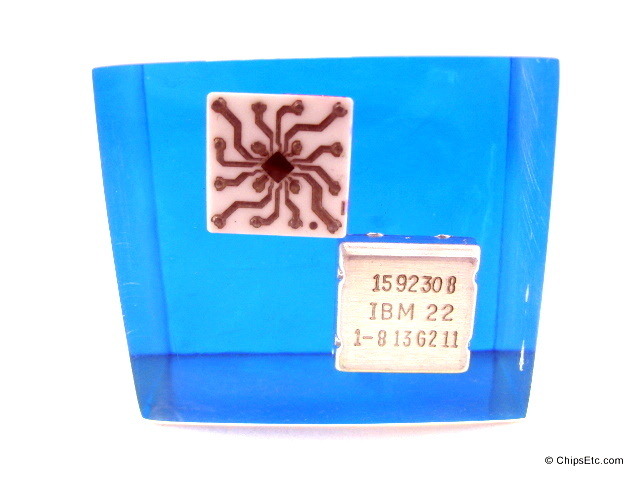 The SLD had from two to five logic circuits per module and 16 pin packaging. IBM's Advanced Solid Logic Technology (ASLT) increased packaging density and circuit performance by stacking two substrates with monolithic circuits onto the same package. 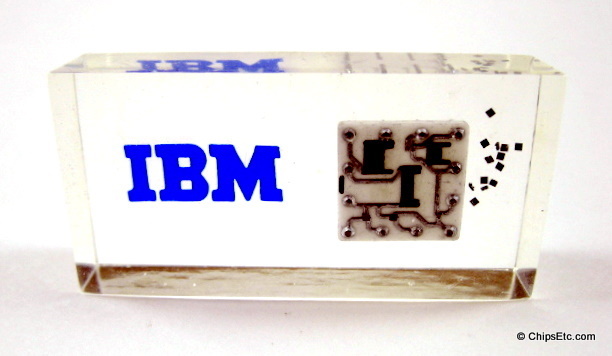 IBM's Monolithic System Technology (MST) increased packaging density and circuit performance by replacing discrete transistors and diodes with one to four monolithic integrated circuits (resistors now external from the package on the module). The MST was originally introduced with six circuits per module but eventually had up to 40 circuits per module. The packaging had 16 pins.